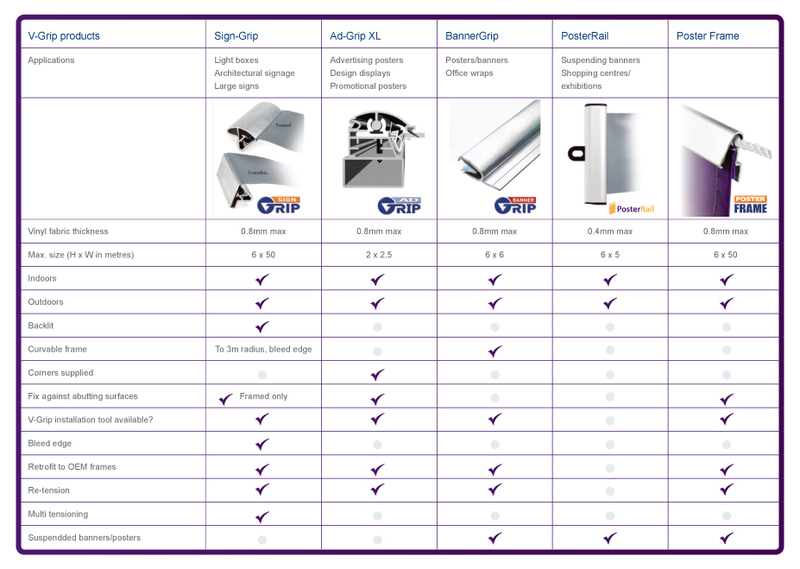 BannerGrip - for professional quality and economic Banners and Posters for indoor and outdoor presentations. 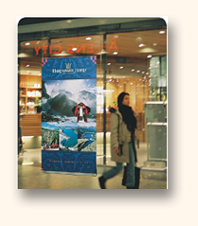 A professional solution for indoor suspended posters and hanging banners in exhibition halls, shopping centres, museums and art galleries. SignGrip® is the premium product for both large backlit Flexface Signs and framed Signs and Banners. The multi-tensioning system provides a drum-tight finish every time. AdGrip®XL is a new high quality three-part framing system for Signs and Posters. 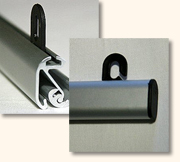 V-Grip Frames are designed for ease of use when framing and protecting posters and artwork. These include Stretch Frame, Snap Frame, Snap Frame (Lockable), Display case (Weatherproof and Loackable) and Slimline Lightbox Snap Frame. All presented in silver anodised finish. Poster Frame is ideal for Indoor and Outdoor Banners and Posters exploiting the best advantages of Rope Edge and V-Grip framing.